An "Age Friendly Community" is defined by the World Health Organization as one that promotes opportunites for health, participation and security to enhance quality of life as people age. 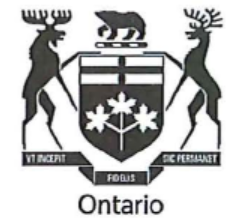 Tay Valley Township received $25,000 from the Ontario Government to undertake an Age Friendly Community Needs Assessment and develop an Age Friendly Community Plan. The Needs Assessment will be done through a survey developed by Tay Valley Township's Age Friendly Working Group based on a model provided by the Senior Secretariat of Ontario. The survey will ask for resident's opinions on the features of an Age Friendly community: public spaces and buildings, transportation, housing, social participation, social inclusion and respect, health and community supports. "The survey is a great way to hear from community members about what is important to them to help them remain in Tay Valley as they age,"said Councillor Judy Farrell who chairs the Age Friendly Community Working Group. "We have some good organizations helping older people age well such as Canadian Association of Retired Persons (CARP) and the Althorpe Bolingbroke Community Association but we know more will be needed as our residents get older." The survey will be bulk mailed to residents and will be available on the Township website. The Township hopes to have the surveys completed by residents by the end of March. The results will be presented at a public meeting where participants will be asked to help set priorities for an Age Friendly Community Plan. The Plan will guide community development to help meet the needs of all community members to age healthily and actively. "One of the things we are already hearing is residents saying they would like alternative housing options," Reeve Kerr commented. "For example, where people can have more than one house on a property and possibly share a kitchen or some other type of co-housing." As the Age Friendly Community Working Group continues with this initiative, please consider becoming involved and learn more about Age Friendly Communities. The Age-Friendly Communities Working Group was created to provide advice and recommendations to Council regarding recreation initiatives to support senior residents of the Township. In support of the inclusion of seniors in the Strategic Plan update, the Working Group will provide advice and recommendations to Council regarding initiatives to support senior residents of Tay Valley Township. Define local age-friendly community principles. Develop and implement a custom needs assessment. Analyse needs assessment/survey from seniors. Evaluate Community Resources (outdoor spaces, public buildings, transportation, housing, social participation, respect for social inclusion, civic participation and employment). Develop an action plan to incorporate into the Township's strategic plan. Present Action Plan to Council for adoption. Recommend to Council priority projects and activities.